Not a new comer into the online gaming industry even though they have barely 10 years of experience under their belt, Mr. Green’s casino has evolved into a casino that hitherto was struggling to survive in a very competitive industry to one which is now challenging even the most reputed front liners. With a crisp and unique feel to its website and also a fun fact trivia at the bottom corner of the homepage, Mr. Green’s casino has continued to draw more players to its fold and as of now, it is in fact very difficult to disregard the casino despite its smaller size when compared to most of its competitors. Little wonder that despite its Swedish roots, it is fast becoming a household name in the United Kingdom. Unlike many other online casinos, Mr. Green casino has developed their own software so that the desires of their customers can easily be satisfied. While it is true that most of their games are sourced from NetEntertainment, the casino also gets some a good number of games from other leading developers, hence giving them a very strong library of not less than 500 games. Playing in the casino cannot be easier especially when you must have completed an account opening form thereby having your account active. After this process, a code will be sent to your phone via text messaging service for you to verify your account. Mr. Green casino has no desktop download but players can enjoy a good number of the games on the mobile version although the fancy details available in the desktop download is absent in the mobile. However, with any of the platforms players can expect a similar level of professionalism in terms of sophisticated graphics, sound system and even identical wagering terms and conditions. The effect of the significant reduction of games in the mobile is watered down by the fact that players are able to enjoy the gaming ambiance and jackpots that this casino provides from anywhere and at any time. There are several categories of games available at Mr. Green and it aims to please lovers of Video Slots, Roulette, Poker variants, Jackpot Games and even Blackjack. The search bar available on the home page makes the searching of games very easy and once a players knows the keyword to search for, all he need do is type it in the search bar and voila! More so, NetEnt and the development team at Mr. Greens are very reputable for coming up with state-of-the-art games devoid of lags and with awesome graphics and audio. Mr. Green casino prioritized the ease of use when the website was at its developing stage. Navigation is very easy because of the well labeled navigation and also resourceful thumbnails. The Mr. Green’s Green Gaming ensures that players can place a limit on the amount of money they want to gamble within a week. This feature is particularly helpful to players with gambling problems and shows that the casino sees beyond mere gambling but also customer safety. All players either legacy or newbies at Mr. Green are well taken care of with regards to bonus and promotional offers. For starters, there is a 100% bonus to the 250 Euros limit and for those who really want to understand how these works, it is important to read up the information on the Promotional and More tab on the website. More so, the other random offers available daily and on weekends can also be found on the random promotional offers list. In addition to this already generous offer, the casino has a VIP club which is strictly by invitation and services only players searching for unique but exotic offers. The VIP club shells out amongst other things, monthly cash back, promotions and an account manager for members of the club. Players have also been treated to surprise birthday packages and even an invitation to some of the most exclusive events in the casino. The next most important thing now is how to get started right? Yes you might want to make some deposits which is why Mr. Green casino has perfected a payment module that accepts most of the very popular payment methods including Visa and Mastercard and even bank transfers. However, players that chose bank or card transfers should note that the bank charges about 2.5% of the deposited fund when using a VISA card and a flat rate of 1 GBP for Mastercard users. 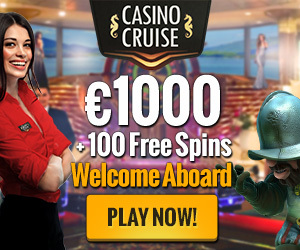 Unless you use a bank transfer, the funds are received by the casino instantaneously and also withdrawals are quickly sorted out and takes not more than 3 days for you to get your cash. Mr. Green Casino doesn’t not handle the privacy and security of their customer information with levity and even if you go through their about page, they have a symbol of integrity so rest assured that your details where financial or personal shared with the casino are safe away from the prying eyes of cyber criminals. For any enquires, you might want to use the FAQs page on the site or use the very efficient live chat available round the clock.